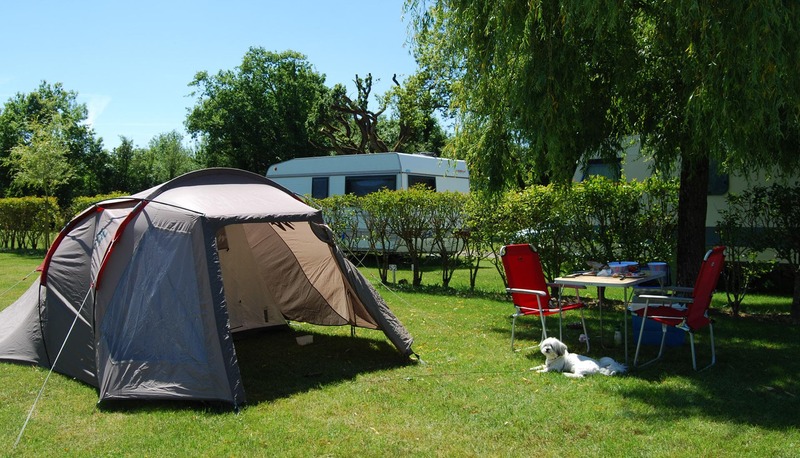 Your camping holiday at the seaside should definitely include a trip to the many sandy beaches. 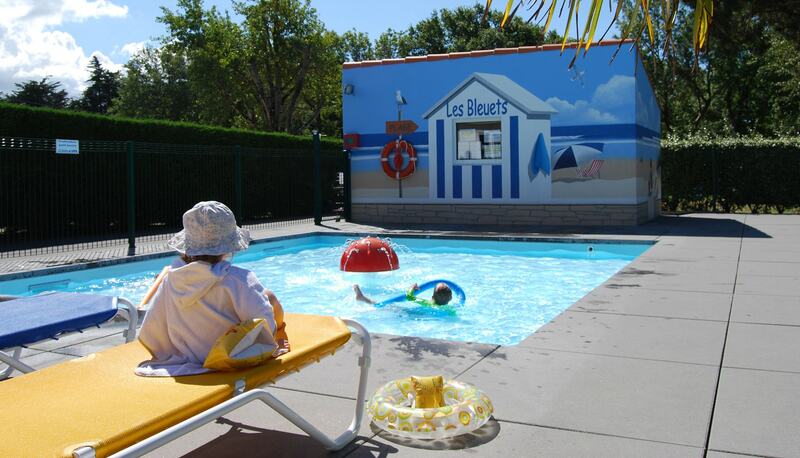 From swimming to water sports via building sandcastles, every beach has something unique! Pornic: L’Etang, Portmain, Porteau, Noëveillard, Birochère beaches. Préfailles: Anse du Sud beach, Big Préfailles beach, Port Meleu beach. Saint-Michel-Chef-Chef: Big Tharon beach, Gohaud beach. 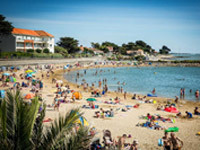 Saint-Brévin: Les Pins beach, Océan beach, Rochelets beach, Ermitage beach. When you walk along the Atlantic coast, you will probably see a large number of raised cabins running down towards the sea. These fishing cabins brighten up the coast and are rich in history. Today there is an association seeking to preserve them and also the fishing activity here. The vast majority of these pretty little fishing cabins are privately owned, but you can rent one and have a great time with a spot of fishing. Gathering shellfish is a very popular activity all along the Atlantic coast at low tide. When the sea withdraws, it reveals a large number of rocks and areas that are teeming with shellfish and molluscs. 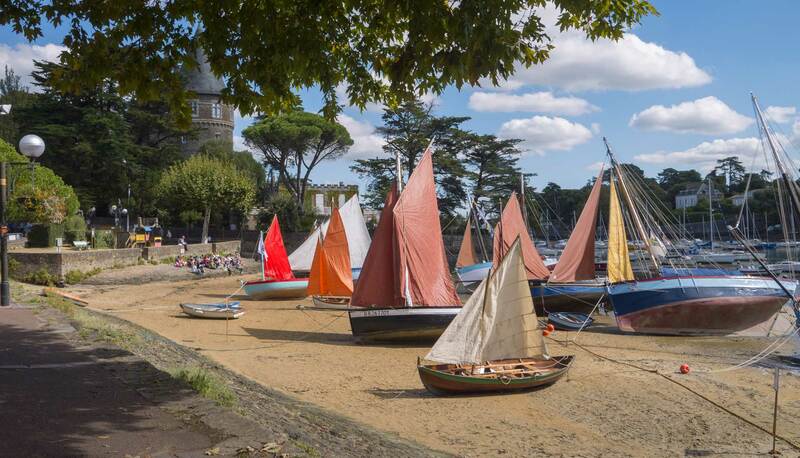 This is the ideal moment to take up your bucket and spade and set off from the campsite in search of clams, limpets or winkles. If you look for little holes in the sand, you will find the hiding places of your next catch. 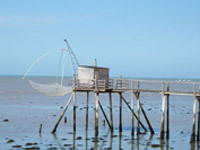 Where and what can you fish in the Côte de Jade? There are many fishing areas around the campsite, and you can find many different types of shellfish, clams, mussels and oysters. Set off for La Bernerie, La Prée, the wild coast of Préfailles or Fontaine aux Bretons beach. Clams can be spotted in the sand thanks to the two characteristic holes they leave behind when they bury themselves in the sand for protection. Dig carefully in the spot underneath the holes and you will find your catch. Make sure you don't pick the clams that are too small.